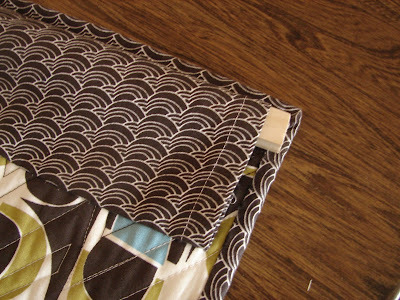 Now that you've made your hanging sleeve, how and with what do you hang your quilt? I've used lots of different methods for hanging. I would love to use round dowels, but dowels are usually only readily available in shorter lengths and I like to hang larger quilts. So it's off to the molding department in Home Depot! These are the two moldings that I purchase depending on the size of the quilt. For smaller quilts I use screen molding, which is the piece of wood on the top in the picture. Screen molding is thin and has two rounded edges. You can cut it with a mat knife. I use it to hang quilts that are around baby size and smaller. The second piece is 1/2" x 3/4" molding. I don't know its specific name or use, but it is readily available and you can buy it up to 12' long. You need to have a saw to cut this one! Cut your wood piece to the exact width of your quilt. Notice in the picture how the wood will extend beyond the sleeve. If the quilt is to be hung permanently, place nails or screws in the wall so that you can place the wood on top of them at this point for hanging. 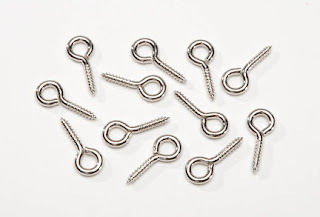 You can also screw eye hooks into the ends of the wood and hook those onto nails in the wall. 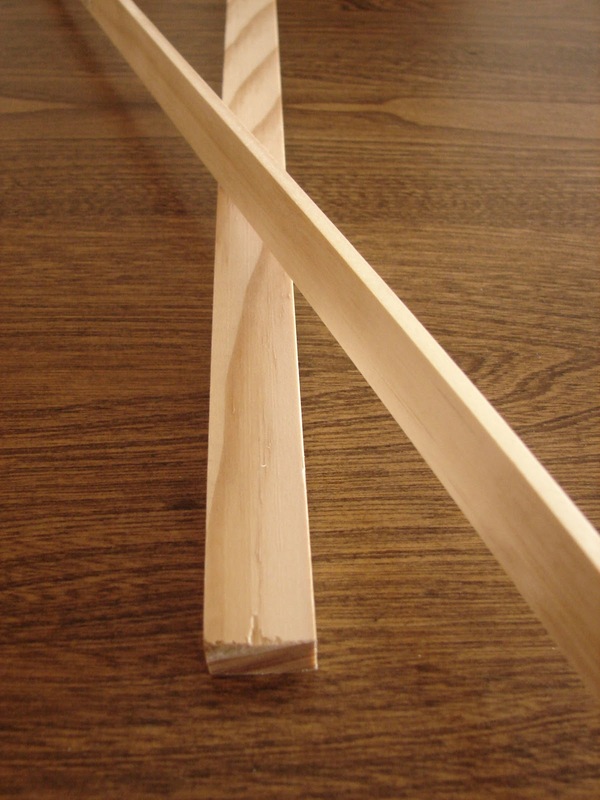 If you use eye hooks you'll want to cut your wood piece shorter so that the hooks don't show when your quilt is hanging. I like to change out quilts often, so I do things a bit differently. I use pushpins (just regular plastic ones for bulletin boards) and I place them about three to four feet apart level on the wall. I then place the quilt on them so the wood rod rests on the pushpins. I've found that even large quilts hang beautifully and I can change quilts often without putting additional holes in the wall. I hope this gives you some ideas for how to showcase your quilts on the wall. Those are great ideas! I had never thought of using molding for hanging a quilt. And the push pins are a great idea too. So they support the weight of the quilt? I'm obsessing about the suggestion that two push-pins can support a mid-size quilt. Still trying to process this possibility! But, thank you for the tip! LOL! ohh thankyou. snap again! I haven't used the tacks though, I've used panel pins...tiny nails to balance the rod on. sometimes here in New Zealand we have to put velcro on competiton entries, so I glue that to the rod, and in theory, I can change out the quilts by putting velcro on the sleeve. Your bridges quilt is inspiring. thanks. I think the second piece of wood is called "lattice." I use it for hanging my quilts. 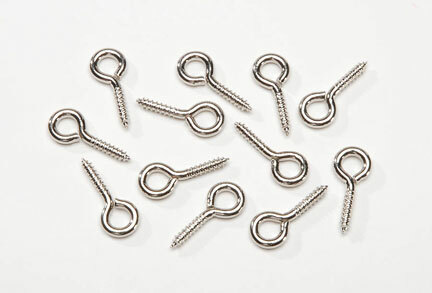 I screw small eye hooks into the ends of the wood and use small nails tapped into the wall to hang the quilt from. It works out well.